We are open 7 days a week from 6 am to 8 pm. Clean fully attended coin laundry. On-site dry cleaning and shirt service. 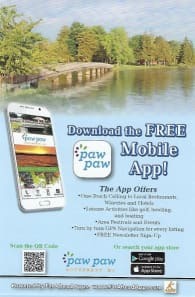 Free pickup and delivery in the Paw Paw, Mattawan and Kalamazoo areas.